Each quarter my Britt Key Team girlies get to participate in a group shoot just for them. 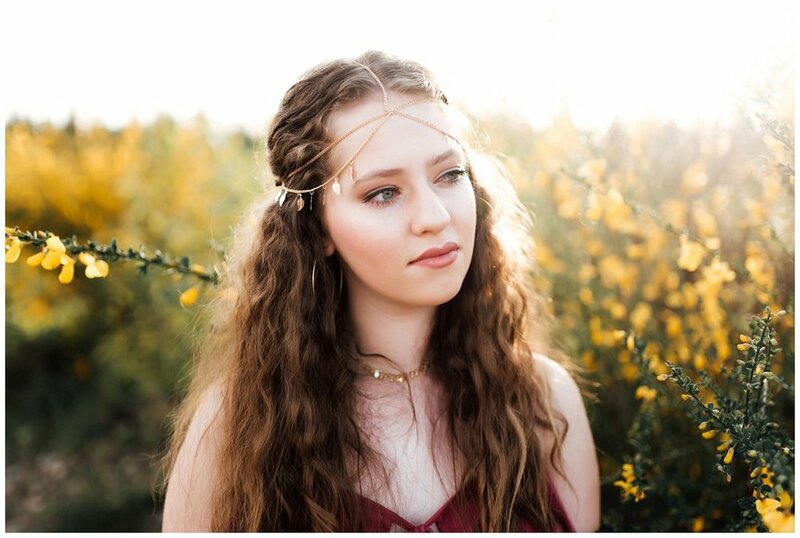 This quarter, the girls got to vote on their theme and chose to do "Boho Gypsy", which was so fun to shoot! After frigid, temperamental winter weather for our Lady Lumberjack shoot, the balmy breeze and beautiful sunshine was a welcome contrast. 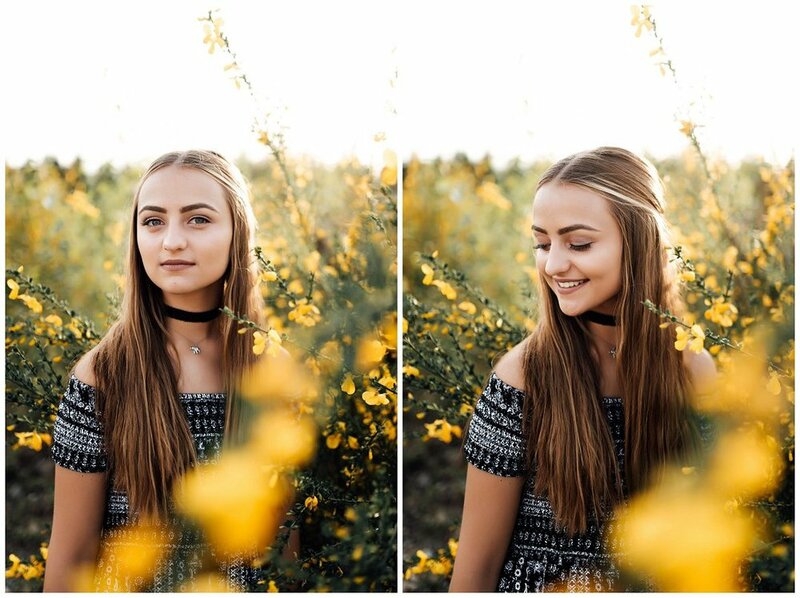 I couldn't help but break this shoot into two blog posts to highlight these stunning sunshiny photos we took with... weeds. In Washington State, scotch broom grows rampant and boy, can it cause some allergy attacks! We were lucky that the pollen seemed low as we avoided sneeze attacks and swollen eyes. The girls worked it and oohed and awed at each other glowed like goddesses in the sunshine. I couldn't be more proud of these photos and these beautiful souls.